If you ask me, portable air conditioners are all about comfort and convenience – whenever and wherever you need it. And it doesn’t matter the brand…that’s what the best portable air conditioner should offer as a bare minimum. Now, as part of our continuing coverage of best home appliances for a comfortable living, today I will be discussing the best portable air conditioners on the market. 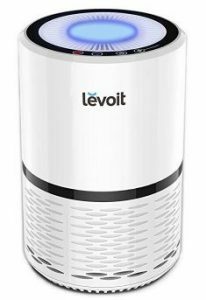 We have previously looked at the best air purifiers you can buy. How do they differ from other air conditioners? Single or dual hose units? How many BTUs will cool your room? A portable air conditioner is a self-contained mobile air conditioner created to cool your home, offices, workshops, and even studios. Whether hot weather batters you throughout the year or is just savage for a couple of months, turning to a portable air conditioner helps to keep you more comfortable. Their biggest strength lies in – you guessed it – portability. They are lighter and easier to carry from one room to another compared to central air and window units. So, you can make virtually any space pleasurable and habitable. All air conditioning units use similar principles. You wouldn’t expect portable air conditioners (PAC) to be any different. A gas, technically called a refrigerant, teams up with evaporator coils to absorb excess heat from the surrounding air. A compression pump then turns the refrigerant into a liquid to enable it to soak as much heat as possible. The cooled air is then pumped out to other areas in the room by a blower while the concentrated heat is exhausted via an air hose. This cool air is exchanged continuously with the warmer air in your room until the conditioner cools the temperature to the desired value. These types of air conditioners are fantastic cooling solutions for your spaces. They even back up overwhelmed central HVAC systems. Moreover, you can pretty much carry them anywhere – your bedroom, den, computer room, garage…. everywhere. But does everyone really need a portable air con? Portable air conditioners suit people who are unable to install ordinary window air conditioning systems. Remember, typical window air conditioners install on vertical sliding windows. Unless you get a way around this, then you must look for an alternative. Also, some landlords don’t allow ‘foreign’ installations including window air conditioners. Therefore, when it’s hot and humid especially in the summer, a portable air conditioner could be your unlikely savior. As a matter of fact, you will find portable air conditioning handy if you rarely stay in one place for long. As I had mentioned, portable air cons are designed to be carried around easily. So, you can have it in your living room during the day and in your bedroom at night. You won’t need to invest in more window units. There are no other noticeable differences in terms of how they work. As you sample portable air cons, you will notice that 2 major types of hose setups dominate: single hose and dual hose. In simple language, single hose design has one hose while its peer has two. But at an expert level, the two differ significantly as explained below. These draw air from within and expel warm air plus moisture outside. This can generate “negative air pressure”. That’s because air is perpetually being exhausted out of your room meaning there’s a need to continuously replace air indoors. Eventually, expunged warm air may start leaking back in through available openings as your conditioner fights to substitute the “missing” air. What’s more? Because of this mechanism, single hose portable air conditioners have to work much harder to cool spacious areas. They are for temporary use. The designers, therefore, have focused on making them highly portable so that you can easily move them where they’re needed. For them to work perfectly, you have to go for those powerful enough…those with sufficient BTUs. If you’ll be using them in rooms with electronics that generate extra heat as they work such as computers and fridges, then you also have to pick something very powerful. In short, single-duct systems are neither very effective nor efficient. But they are more convenient. And cheaper. These expel hot air through the first hose and draw in cooler air through the other. This arrangement overcomes the problems caused by negative pressure. Thus, these units perform extremely well even in larger settings. Because of the speed and the efficiency at which they cool larger areas, they cost a bit more. But once you experience their effectiveness, you realize they are worth every penny. If you are after performance, the dual hose air con will delight you. But if you are working out how to cool a small room and you are on a tight budget, the single duct design should work. British thermal units (BTUs) is a measure the energy needed to increase the temperature of 1 pound of water (at or about 39.2 degrees Fahrenheit) by 1 degree Fahrenheit. It’s the traditional unit for measuring heat energy. Since portable air conditioners pump out heat energy, their capacity is therefore assessed by recording the BTUs of heat they move in an hour. This is the clearest indicator of how well you can expect it to perform. The big question for many first timers is how many BTUs their air conditioners should have to sufficiently cool targeted room. Many people buy air conditioners that are too large thinking they will provide better cooling. However, over-sized air conditioners can actually be less effective if used in the wrong areas, not forgetting that they waste precious energy. So, choose wisely. Environmental issues can also affect an air con’s efficiency. For instance, if you are cooling a very sunny room, it’s advisable that you choose an air conditioner with 10 % more BTU capacity since there’s more work due to the potentially raised room temperature. Similarly, shady rooms are naturally cooler. For this reason, air conditioners with 10 percent less BTUs will work. Also, if more than 2 people are often in the room, consider adding 600 BTUs per individual. The extra units help to achieve faster cooling. Requirements depend on the model. But by and large, set up is quick and smooth. A majority of PACs include some accessories such as a window kit and exhaust hose(s), most of which are easy to install. Remember to plug the air conditioner in as soon as you mount the window kit and the exhaust hose! It will roar to life and start cooling. As expected, these units do not rank the same. And you need to know the features to concentrate on. Below are some of the features you need to consider. Portable air cons have several operating modes: cooling, dehumidify, automatic (smart), or even fan only. In smart mode, you can set a target temperature. Then, once attained, you can switch to alternate modes as required. Of course, the more modes it offers the more versatile it is. Portable air conditioners are generally power hungry. And if you check the manuals, almost all manufacturers advise against using external power cords. That’s because they may not cope with the increased load. This could lead to hazards such as overheating or fire. The solution? Place your device as close as possible to the outlet. In case the cord is too short, buy an extremely heavy-duty power cord. A timer is another powerful feature you need to check. It permits you to set your air con to turn on at desired times. For example, you can have it automatically power on ahead of your arriving home from work so that you get the place fresh and cool. Similarly, you can configure it to go off at night instead of wasting energy while making noise the whole night. A number of portable air cons come with a remote control. Just like a television remote, it’s very handy. In fact, these remote controls offer much more. For instance, you will have up-to-date information on prevailing room temperature. Plus, you can set the PAC to run in automatic mode making the whole cooling process simple. In summary, air cons with a remote control are much easier to operate. This is one feature we cannot wish away in air conditioners. Some of these units are noisy and disruptive especially when running on full blast. In the office, they can make it hard for you to concentrate. It’s also hard to sleep with such units blaring. However, there are some that are at a manageable level. So, it’s always advisable that you check the expected noise levels of your favored air con before ordering. Louvers are great as they help you control air flow by directing it where you wish. Some air conditioners have manual louvers while others have fixed ones. There are also other models with automatically oscillating louvers which are fantastic considering that they allow airflow in multiple directions. You will most likely be moving your PAC across rooms. You should, therefore, go for models with accessible handles and enough clearance (from the floor to the bottom of your unit) as they are easier to lift. Also, units with larger wheels are excellent even on pile carpets. Filler panels close the gap within open windows. They also channel hot air outside via an exhaust hose. Portable ACs coming with window kits help ensure that cooled air stays indoors and that searing air is locked outside for cooling to be effective. Also be sure to go for portable air conditioners with self-evaporating technology. This gets rid of all the condensation resulting from the process. Otherwise, you will be inconvenienced as you’ll have to keep emptying the tank with buckets! We usually like giving you a feel of what is in the market by reviewing the top products. Here is a review of the top candidates for our best portable air conditioner category. When engaged, this DeLonghi portable air conditioner works like it’s in a race to beat them all. And with its hugely impressive list of options, impressive air filter, powerful heat pump, and intelligent operational modes, this 3-in-1 PAC is a potential world beater. Not only does it free you from the slavery of constantly emptying the drip tray/basin (it uses an innovative condensate recirculation system), but it also works whenever you want it to. It records heat and humidity levels. 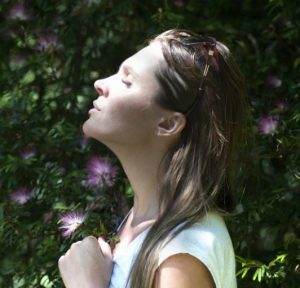 Then, it silently invokes its conditioning and dehumidifying powers to balance the conditions in the room so that there is a mutual optimal feeling. So, you feel really cool regardless of the conditions outside. Beyond this inherent versatility lies a dogged air con with an assortment of features that make it easier to run day-to-day. A fully-featured remote control and a simplified control panel add convenience, while the handles and castors offer better mobility. The other biggest achievements come in the form of the 3 fan speeds. They include a quiet mode which ensures that it runs quietly in case you want to take a nap or have a candid conversation with colleagues. Super-quiet, highly portable, and super-efficient. That’s how you can summarize this portable air conditioner.Well, for spaces about 450 square feet wide, this DeLonghi appliance could be a real find! This Honeywell portable air conditioner is a close competitor to the DeLonghi America 12000BTU Portable Air Conditioner. Looking at its array of performance-specific features and precise feather-touch controls, this model is well positioned to outsmart others in its category. Well, when assessing various portable air cons, we obviously expected such a performance from a Honeywell product. What we didn’t expect is this level of silence. In fact, among our 5 finalists, this is among the PACs to score big on noise levels, largely because of its reduced fan speeds. Something you shouldn’t forget is that the lower fan speeds are just one part of a wholesome air conditioning package. For instance, unlike some models, this mobile air con lets you get very close and personal – finally bringing the convenience of touch controls into an air con. You get to manipulate everything via simple touch! Also, those looking for aesthetics will be happy with its overall design. And the fact that you can choose between black and silver. Well, I know you’re wondering how much better it can get. Let me say I can’t call it perfect. However, it has all the other crucial essentials. On the mobility front, the smooth-gliding casters provide easy mobility from one room to the next. It also has the standard auto-evaporation system, so you will never worry about emptying buckets. Moreover, it includes 3 operational modes that work well: fan-only, air conditioner, and a dehumidifier mode. Lastly, there is an energy-saving 24-hour timer and a full-function remote control. In short, it’s leaps and bounds ahead of its mates. The more performance-focused Honeywell PAC could be a calming addition to heated environments. It’s full of cool features and it’s an efficient but quiet performer. You would definitely be making the right move if you decide to buy this air conditioner. It’s no secret – LG have continuously thrilled consumers with top-notch appliances. I, for one, like what they’re doing especially in the air conditioning niche. So far, they have already had several pretty good models. But I like this unit more. Whichever way you look at it, this is objectively better. It’s more compact, more mobile friendly, and even more pleasing to the eye. Indeed, LG seems to have taken the best of their most advanced safety conditioning technologies and tweaked them to create an all-powerful, all-conquering model. Of note is the auto-swing air venting technology. By incorporating this function in this portable air conditioner, LG has succeeded where others have faltered. So, at long last, we have a PAC that can push cool air to every corner – meaning no hot spot is left untouched. Considering how well they push the cooled air around, the auto swing louvers are ingenious! Also, this model gathers more marks on its overall design. It’s super mobile. It is slimmer and modern with its profile, caster wheels, and handles all engineered in a way to make carrying it a breeze. And it’s lighter too. This design also makes it convenient to clean. With the EZ sliding filter installing and ejecting easily, maintaining your PAC is much easier. Then, we have the usual goodies that are synonymous with LGs. For example, it has a large display to help you monitor the room temperature conveniently. Other amazing features include low sound levels thanks to a unique fan, a resilient auto-evaporation system, and a cool LCD remote control. The LG LP1417GSR 115V Portable Air Conditioner with Remote Control is another stand out portable air con. Whether you’re after results or a more mobile-friendly unit, this unit fits the bill. The Whynter ARC-14S is increasingly becoming a favorite among the best portable air conditioners in the market. Of course, we said (hope you still recall) that dual hose PACs are more efficient for larger spaces. And that remains true here. For sure, The Whynter 14000 BTU Dual Hose Portable Air Conditioner feels like it can be the most fitting to do the best job in big and hostile spaces. First, because the separate dehumidifying mode enables you to convert it to an energetic room dehumidifier when you need it. Secondly, it comes with both a washable pre-filter and a carbon air filter. This combination keeps the cooled air clean and fresh. Apart from its potency, this unit sets also itself apart because of its stress-free operation. The self-evaporative system will exhaust all the condensation even under extreme conditions. Then, this unit will automatically restart in case of a power outage. Amazingly, it conveniently recalls the previous temperature setting. On the same note, you can set it to power on/off automatically at specific times thanks to the 24-hour programmable timer. You end up saving a lot on the electricity bill. To add to its A-standard convenience, this model is also substantial because of its use of an environmentally friendly refrigerant and lead-free components. So, it’s safe to say that this is not just good for you. It’s also better for the environment. For the latest information on its price, click here. This dual-duct hose PAC has a bounty of features that push it deep into premium territory. Covering up to 500 sq. ft., it is one of the best bets for wider spaces. The EdgeStar AP12000S Portable Air Conditioner is built for those who are looking for energy efficient cooling solutions. That’s why it has a noticeably reduced power consumption rates when matched against other mobile air conditioners. It also has a pretty high 10.0 EER (Energy Efficiency Ratio). This is big news because, at this rate, you can continuously run this model for just $1 per day! Add the savings here to the bucks you save by setting it to start only when you need cooling. This is enabled by its 24-hour timer. The EdgeStar AP12000S is a high-level invention because, despite it being a money saver, this unit is absolutely powerful! This because it still uses dual filtration. Here, dirt and dander undergo round one cleaning in the washable pre-filter first, before undergoing a final cleansing in the second-stage carbon filter. By and large, this model also seems to put the user first. You will find its ventilation kit quite easy to install. The same can be said of its fully-functional remote control which has soft buttons and a large display. As a matter of fact, every other control, including the time, follows this trend. Moving on, the Edgestar has a noise rating of 52 dB on the lower side and just 54 dB- on the high. This makes it substantially quiet. Also worth mentioning is the intelligent restart function which enables it to go back to its most recent settings – in case there was a power failure. The other highlights are the direct drain option and the 49″ extendable hose – both of which look better built compared with what we usually get at this price range. The EdgeStar AP12000S Portable Air Conditioner is an affordable, functional alternative to expensive portable air conditioners. Among its most amazing features is that it is super energy-efficient! To remain in top condition, your portable air conditioners will need some basic maintenance. The volume of work required to keep it running, however, varies depending on the model. During the cooling process, portable air conditioners produce some moisture. This must be removed – lest it damages your unit. Most have a tank that collects the water. This tank is usually emptied the same way dehumidifiers with tanks are – you occasionally get the tank out and empty it. Units with automatic evaporation expel moisture automatically through the expeller hose(s) and have less work. If it’s a hybrid, you can set it to drain automatically or pour empty it manually. The good news is that current air conditioning technology is so much advanced that it now very rare to see portable air cons requiring manual drainage. Almost all come with the self-evaporating technology I talked about earlier. The filters need proper care. First, you will need to clean them every now and then to ensure that they last longer. Clean filters are also more efficient in disinfecting the air. You won’t be using it all year-round. It’s therefore important that you store it the right way. Start by draining any lingering moisture from inside the unit. Then, switch the unit to the “fan only” setting for about 2 hours. This should dry the interiors and leave them fully dry. Then, drape it with a plastic sheet to protect it from dirt and dust. Finally, place the air con in a cool, dry place. Keeping grime, grease, and dirt away from the condenser coils makes them work more efficiently. However, you should never use water or your home detergents to avoid damaging the coils. Instead, buy a coil-cleaner or any other acidic alternative. And while at it, also clean the outside. Simply wiping the cover with a wet cloth works wonders. Stay away from excessively hot water and the common cleaning chemicals including detergents since they can harm the unit. Frequency of cleaning the outside: once every 4-6 weeks. An expert service can tremendously improve an air con’s functioning. Plus, a technician will pinpoint the areas you need to check to optimize its performance. It’s also wise to occasionally hire a professional to clean it since he/she will touch even the places you usually struggle with. Even if you religiously follow the suggested cleaning schedule, engaging an expert will pay you back big in the long run. Most home appliances need some getting used to. Your best portable air conditioner isn’t an exception. Therefore, you need to commit to learning it and its operations. It is something you have to take seriously because it will help you maximize your unit. You need to be choosy when it comes to installing/mounting your newly acquired PAC. In actual sense, with all air conditioning systems, it’s advisable that you stay away from certain areas. For example, an area that receives lots of sun makes the job more difficult and stresses your device as it has to pump in extra energy. Similarly, don’t take your unit to those rooms with low humidity. You see, your model will generate extra condensation. This means more draining and more cleaning. And consequently, more inconvenience! Also, you should always leave enough space between the unit and the walls. Overlooking this may limit the airflow. It’s important to note that your unit can hardly cool and freshen up stuffy environments when it’s hardly breathing. Your manual should give you a clear idea on how much spacing you should provide for your unit. Anyway, always set it some distance from the wall. It doesn’t matter the type of air con you have picked. Proper room ventilation is fundamental in ensuring optimal results and a prolonged life for your appliance. For portable air conditioners, proper ventilation guarantees that hot air is efficiently directed out of your room before it causes a problem. Thankfully, your package will contain a handy window ventilation kit that should serve the purpose. But in the unlikely scenario that your kit gives you any challenges, consider other ventilation options. There are good choices including kits for drop ceilings and sliding doors. Q: Can I Extend the exhaust hose? A: Manufacturers advise against lengthening the hose of portable air conditioners. For one, it may void your warranty. There’s also a possibility of your air conditioner overheating. Q: Can a portable air conditioner serve in a server room? A: Portable air conditioners can be a useful addition to your computer server room. You see, even with powerful central air conditioning systems installed, computer server rooms may still need more cooling because of the robust nature of server operations. A superior quality PAC can, therefore, supplement the existing cooling in your server room. Q: Should I retain the screen on the window when mounting my window kit? A: You should check the product documentation for your PAC to see what the maker recommends. For some models, retaining the screen is harmless especially those whose exhaust hose doesn’t stretch out of the window. In other cases, the first thing you should do is remove the screen. Q: Must all portable air conditioners vent? A: I mentioned earlier that portable air conditioners work much like other air conditioning systems. So, all need to be vented. Otherwise, how will the warm air/moisture be exhausted out of the rooms currently being cooled? Many PACs vent through nearby windows. That explains why most come with easy-to-use window snap kits. Q: Will one portable air conditioner cool multiple rooms? A: Like window-mounted air conditioners, portable air conditioners cool adjacent areas. To a substantial extent, they lack the capacity to push cold air through doorways and to neighboring rooms. Nevertheless, you may experience some minimal cooling effect while in a neighboring room. However, the best way to extend the cooling coverage is by installing some fans. Q: How noisy are portable air conditioners? A: PACs have both a fan and a compressor. Therefore, it is natural for them to produce some sound. To know how audible it can be, check its decibel rating (dB level) from the documentation. I have noted that most start at 48 dB all the way to a high of 60 dB. Q: Do portable air conditioners need special power accommodations? A: Very rarely. Most operate on standard household Hertz (115 Volt / 60) voltage. Q: How energy efficient are PACs? Check its EER (Energy Efficiency Ratio). Note that more energy efficient air cons have a higher EER value. Q: What if I was to install an additional filter? A: All PACs come with a pre-installed pre-filter. And may not require additional filters. On one side, it’s true that these pre-filters are amazing at removing large particles from the circulating air. However, they are also known for not being very good in exterminating common allergens – some of which can lead to serious health complications. This is precisely why we recommend that you install an alternative air filter. They’re not that expensive. Renters, people who move around a lot, and even those who don’t have the budget for central air conditioning system will find the portable air conditioners a great option. And the good thing is that they’re as effective as some of the best central HVAC systems. Some of the features that matter include the BTUs, timers, remote control, operational modes and ease of use. Also, a dual hose air con works well for larger spaces while single duct designs come in for smaller areas or when on a tight budget. Well, with what we’ve covered in this post, you are better equipped in your quest to find the best portable air conditioner on the market. If you need any clarification or have feedback for us, kindly share it in the comments section.